Harrison is a regular visitor to the Museum and has been mentioned before in this blog here. A couple of days ago, he visited MAKESHOP with an agenda. 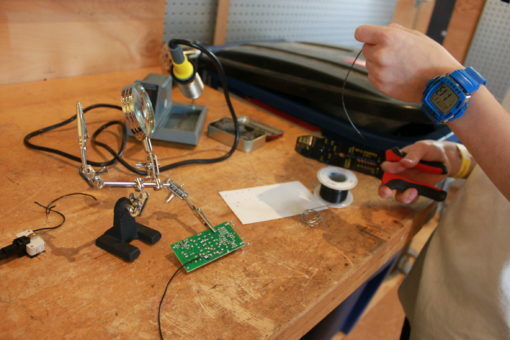 He needed help soldering some components. 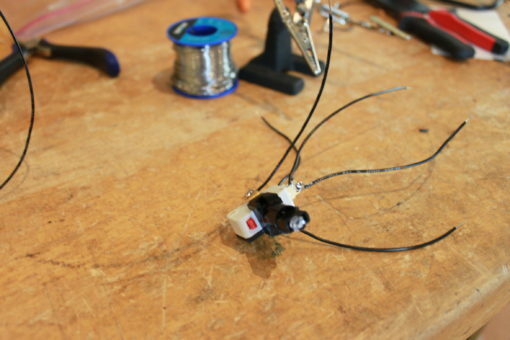 I can certainly help someone solder something, but Harrison really helped me understand what it means to turn your imagination into reality. Harrison planned on creating a remote control for his room. He was planning to hook up his lights, thermostat, and other devices to a central control system that could be operated by a single remote. He was building the bedroom of the future. 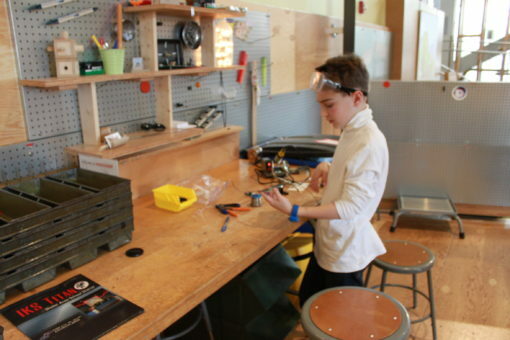 His plan was to re-purpose a remote control kit that did not function exactly how he wanted. 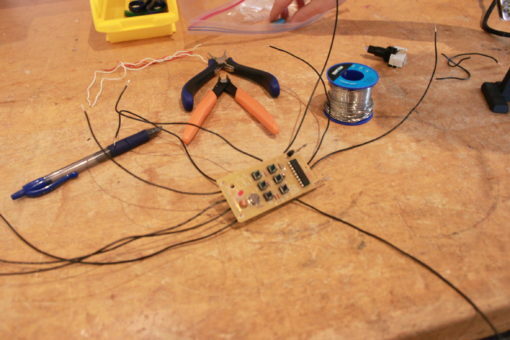 He mapped out all the areas that he would need to solder wires to the remote. 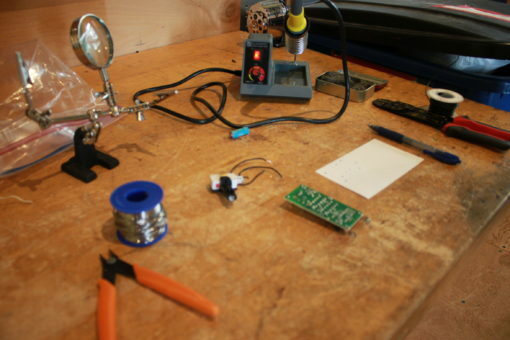 I was just his extra set of hands while we soldered leads to the circuit board. While we soldered, Harrison explained more of his plans to me. Most of it went right over my head. He was doing things with Arduino that I did not fully understand. I explained to Harrison that I typically teach really little kids, therefore I don’t typically delve into the realm of programming and Arduino very often. Harrison then told me about a class that he was teaching at his school. He’s teaching an Intro to Arduino and programming class to students a grade above him. I would probably benefit from taking that class! Harrison and I are both teachers and learners. I am glad to know kids who genuinely enjoy learning and it’s great to have MAKESHOP as a resource for them.